"Exotica is the art of ruins, the ruined world of enchantment laid waste in fervid imagination, the paradox of an imperial paradise liberated from colonial intervention, a golden age recreated through the lurid colours of a cocktail glass, illusory and remote zones of pleasure and peace dreamed after the bomb. Nothing is left, except for beaches, palm trees, tourist sites with their moss-covered monuments, shops stocked with native art made for the invaders, beachcomber bars and an absurd perception of what may once have been. Just ruins and a spell, repeated endlessly to provoke fading memories: lust and terror, chainsaw bikers, sultry tropical airs, Aztec spells, x-ray eyes and hot pants, sunken cities, lost cities, singing sea shells, electric frogs, bustin' bongos, wild stuffed bikinis, jungle jazz, sacred idols, space escapades, switchblade sisters, pits and pendulums, tabu, taboo, tamboo, taboo, tabuh, tamboo, tabuh-tabuhan." 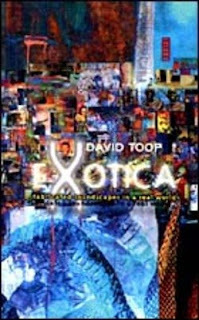 This post is the first in a series of posts inspired by David Toops 1999 book 'Exotica. 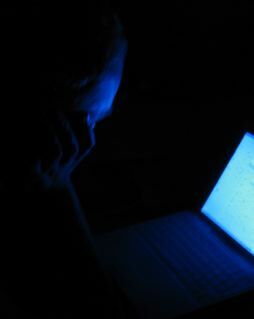 Fabricated soundscapes in a real world'. These posts will present to you YouTube videos of the musicians and films featured in Toop's book.